After the previous days bust in North Dakota, we stayed the night in Fargo. We didn’t get up particularly early and stopped at Smashburger before saying goodbye to Adam. The better target was in Minnesota, but we wanted to get back to Norman on Sunday night to try and play New Mexico on Tuesday. As we were southbound on I-29 storms fired pretty much from canada into Kansas, slowly but surely further south as the afternoon wore on. 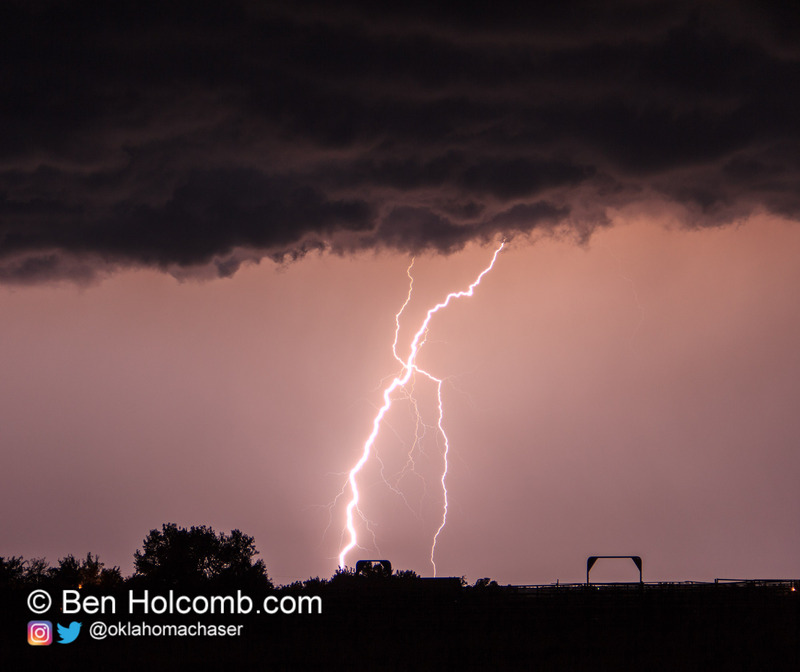 We continued south on I-29 to Nebraska City, NE where we intercepted our first storms. Jari tried to get some lightning photos but was largely unsuccessful. 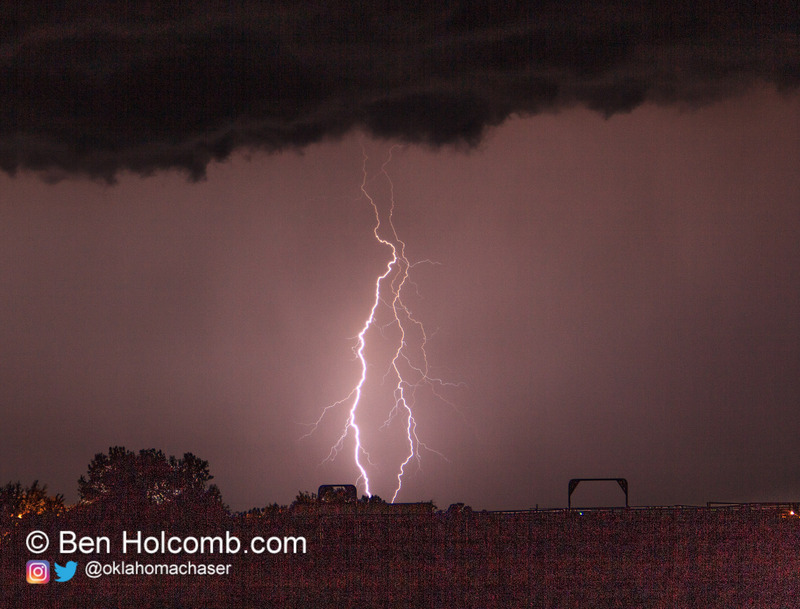 We had planned to drop south to Topeka, but as nightfall came, we went after some more storms in Northeast Kansas. 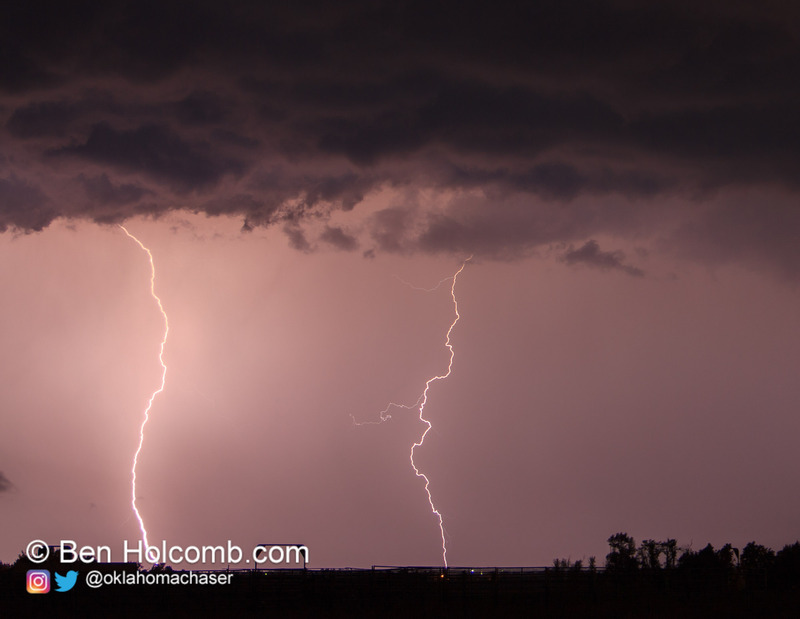 I got some real good lightning photos after dark especially near the town of Holton where Dillon Killoren and Justin Hoyt found us just south of town. As the lightning died down, I decided that we needed to head home as it was about 1030-11 and we still had about 5 hours to drive to Norman.